Elliot Butler vs Gran Canaria. Presented by Summerset and QCD Boards. Film: Alejandro Ramirez, RirawTv. Edit: Jaden Dickey. Three clips featuring Brazilian model, bodyboarder and blogger Sabrina Mourão having fun at various beaches at home. 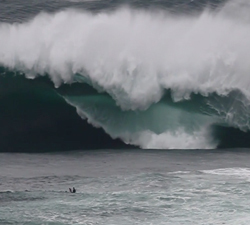 Just one wave from the XXL conditions at Galicia last Sunday. Brought to us by Oti Fernández. A week of slabs in the desert with Matt Van and Matty Gilligan. Music: Ratatat – Bilar and Ratatat – Drugs. In the not too distant, post BFC future a handful of lone draggers have survived the polypropylene apocalypse. 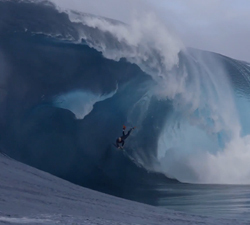 One minute of pure shred with Jake Stone, ripping on the East Coast and Western Australia. Brought to us by The Stealth Army. 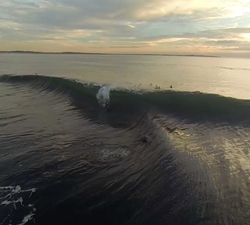 A clip featuring Michel Copetta shredding on the knee at Nias amongst other spots in Sumatra. Edit: Danton Correa. 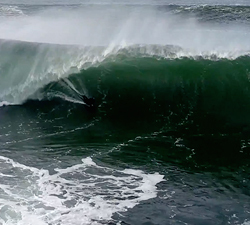 Some sick drone footage featuring António Cardoso, ripping up and down the Portuguese coast. Film: Máquina Voadora. Edit: Semiótica.